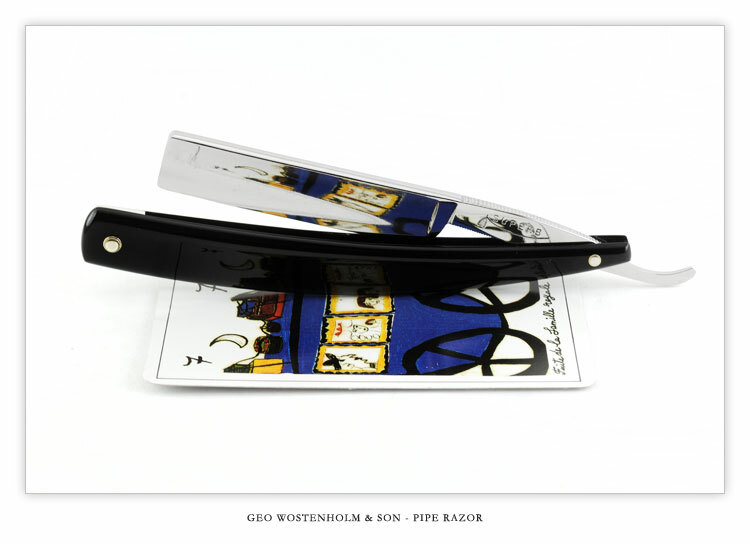 Vintage Straight Razors offers a Customized Vintage Straight Razor - Geo. 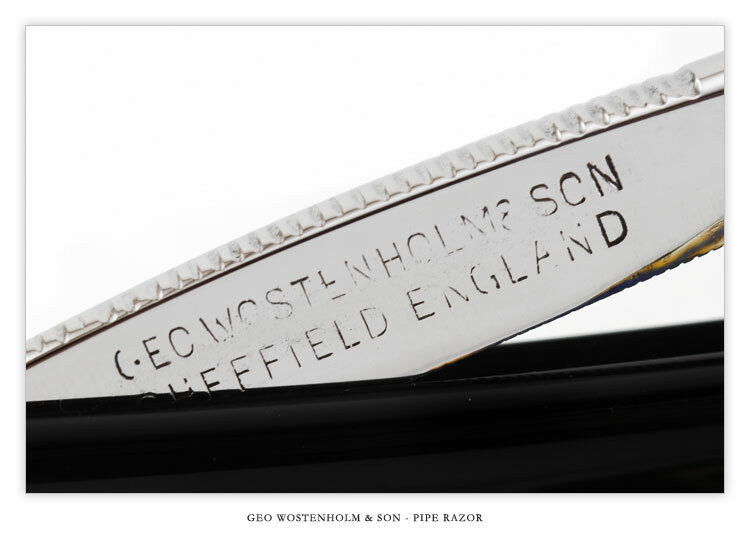 Wostenholm & Son - Sheffield - Pipe Razor - 5/8 - 3/4 Hollow w/Black scales. 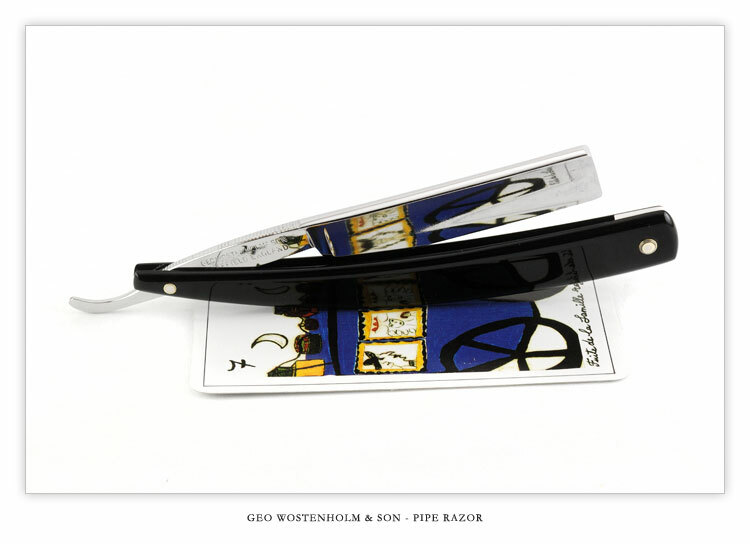 The custom scales are Black Acrylic , tapered with a faux Ivory wedge. The razor was restored and cleaned up. There are some remaining residual shallow surface pits left on the blade and also in fear of losing the engraving I had to stop in time. 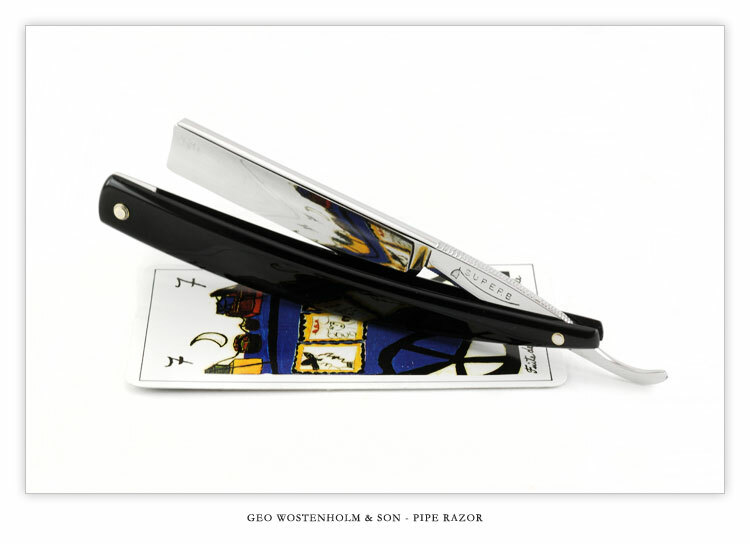 Nothing that affects the shave or the edge. Pins are tight and razor sits snug between the scales. Rare example of a Geo. 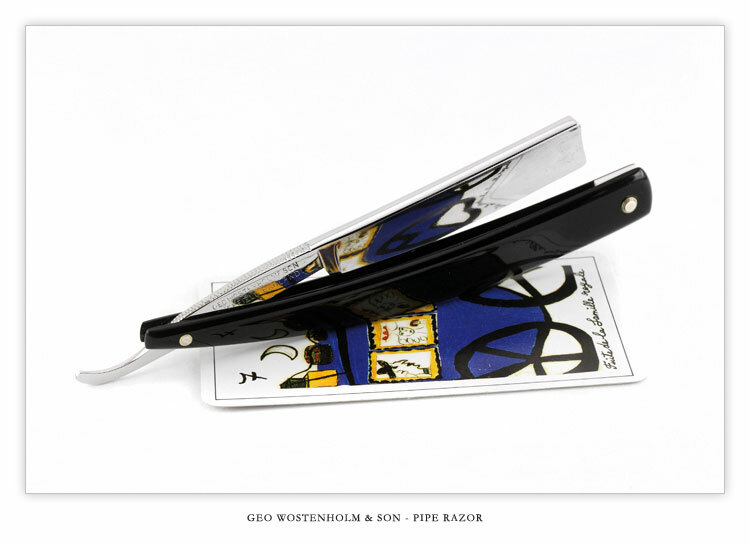 Wostenhom & Son, Pipe razor. Geo. Wostenholm & Son: Rockingham Works Sheffield 1694 - Washington Works after 1867. 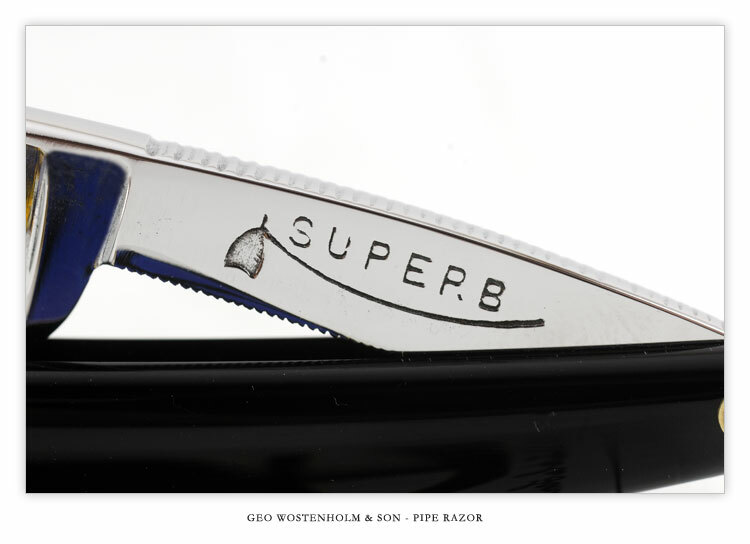 This company manufactured "Bowie type knifes amongst other kinds of cutlery and goods in other metals.